Learn about lines of symmetry in different geometrical shapes. It is not necessary that all the figures possess a line or lines of symmetry in different figures. In the figure there is one line of symmetry. 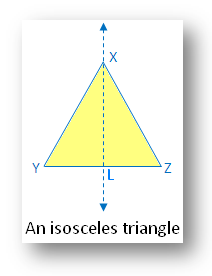 The figure is symmetric along the perpendicular bisector l.
In the figure there is one line of symmetry. 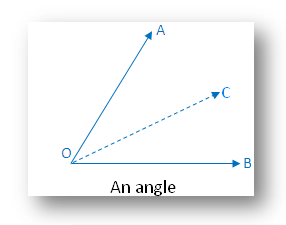 The figure is symmetric along the angle bisector OC. In the figure there is one line of symmetry. 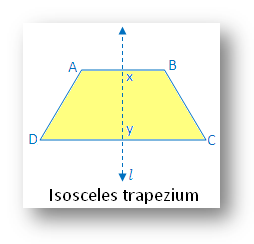 The figure is symmetric along the bisector of the vertical angle. The median XL. In the figure there is one line of symmetry. 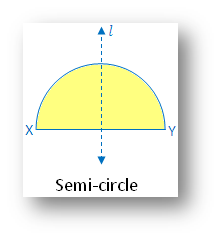 The figure is symmetric along the perpendicular bisector l. of the diameter XY. In the figure there is one line of symmetry. The figure is symmetric along the diagonal QS. In the figure there is one line of symmetry. 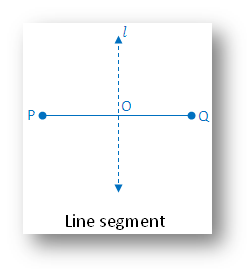 The figure is symmetric along the line l joining the midpoints of two parallel sides AB and DC. In the figure there are two lines of symmetry. The figure is symmetric along the lines l and m joining the midpoints of opposite sides. In the figure there are two lines of symmetry. 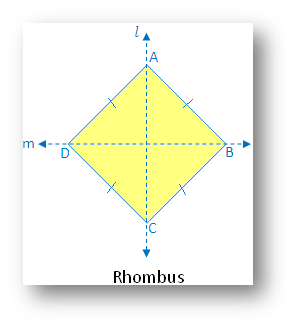 The figure is symmetric along the diagonals AC and BD of the figure. 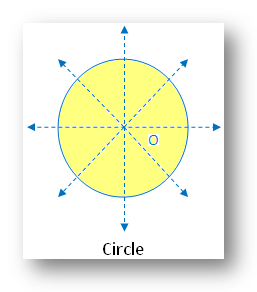 In the figure there are three lines of symmetry. 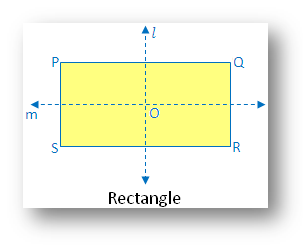 The figure is symmetric along the 3 medians PU, QT and RS. In the figure there are four lines of symmetry. The figure is symmetric along the 2diagonals and 2 midpoints of opposite sides. In the figure there are infinite lines of symmetry. The figure is symmetric along all the diameters. Each regular polygon (equilateral triangle, square, rhombus, regular pentagon, regular hexagon etc.) are symmetry. The number of lines of symmetry in a regular polygon is equal to the number of sides a regular polygon has. 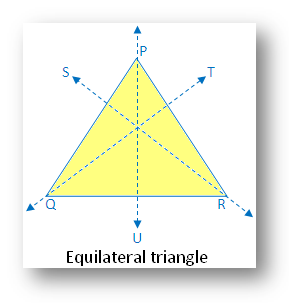 Some figures like scalene triangle and parallelogram have no lines of symmetry. 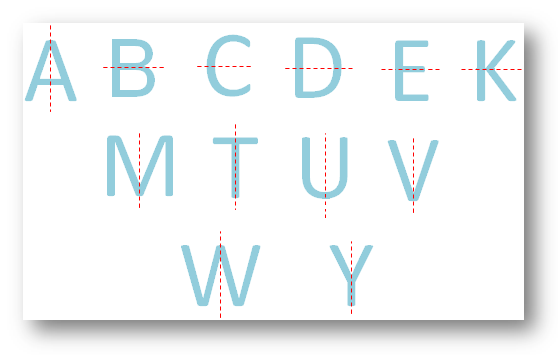 A B C D E K M T U V W Y have one line of symmetry. A M T U V W Y have vertical line of symmetry. 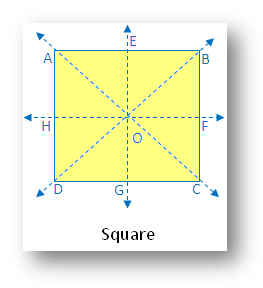 B C D E K have horizontal line of symmetry. 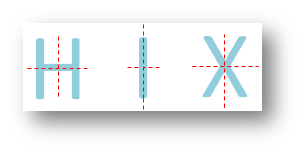 H I X have two lines of symmetry. F G J L N P Q R S Z have neither horizontal nor vertical lines of symmetry. O has infinite lines of symmetry. Infinite number of lines passes through the point symmetry about the center O with all possible diameters.